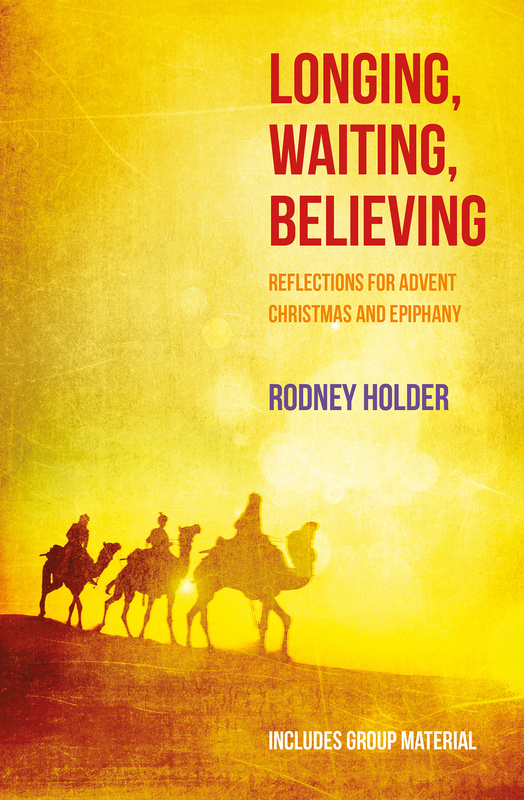 In Longing, Waiting, Believing, Rodney Holder leads you from 1 December, through Advent, Christmas, New Year and Epiphany to 6 January. With thirty seven thoughtful and enlightening devotions, this eloquent yet easy to follow devotional ensure you get the most from every moment of the Advent and Christmas season. Theologian, pastor and scientist, The Revd Dr Rodney Holder brings you the hope, peace and expectation that comes with the right, spiritual approach to the Advent season. Mixing the divine element of believing with the human experience of waiting and longing, this devotional brings an essential new perspective to the lead up to Christmas. With daily Bible readings and reflective comment, from the start of Advent to Epiphany on 6 January, you will be led anew into the familiar events of the Nativity story. All through this restorative approach to Advent, you will find the footprints of those who prepared the way: the patriarchs and prophets of the Old Testament, John the Baptist and Mary the mother of Jesus. Reverend Holder also explores the traditional Advent focus on the 'four last things': Death, Judgment, Heaven and Hell, to reveal how these sombre themes have their place in the build-up to the Christmas celebrations. Never forgetting the true, historic purpose of Advent: reflecting on the second coming of Jesus and his return as Lord and King, the author reminds you that longing, waiting, believing are required skills of the mature Christian that can be nurtured, lived, shared and enjoyed all year ‘round. Longing, Waiting, Believing by Rodney Dennis Holder was published by Bible Reading Fellowship in September 2014 and is our 14542nd best seller. The ISBN for Longing, Waiting, Believing is 9781841017563. Be the first to review Longing, Waiting, Believing! Got a question? No problem! Just click here to ask us about Longing, Waiting, Believing. In the excitement of the weeks before Christmas, it is all too easy to overlook the fact that Christians have, down the centuries, regarded Advent as a season of penitence, a time of prayer and preparation for the great feast of the birth of Jesus, just as Lent is a season of preparation for Easter, when we remember his death and resurrection. This book of daily Bible readings and reflective comment covers the weeks from 1 December through to Epiphany on 6 January. As well as considering the well-known events of the nativity story, it looks back to those who prepared the way - the patriarchs and prophets of the Old Testament and John the Baptist and Mary the mother of Jesus in the New Testament. The book also explores the traditional Advent focus on the 'four last things', death, judgment, heaven and hell. Rodney Holder shows how these sombre themes have their place in the build-up to the celebrations, because of another historic aspect of Advent: reflecting on the second coming of Jesus, when he will return, as Lord and King rather than helpless baby, to set the world to rights. The Revd Dr Rodney Holder has recently retired as Course Director of the Faraday Institute for Science and Religion at St Edmund's College, Cambridge. He has written many articles and a number of books on the dialogue between science and religion, including The Heavens Declare: Natural Theology and the Legacy of Karl Barth (Templeton Press, 2012). He contributed a highly popular series of readings to New Daylight (September 2012) on 'Our Creator God'.